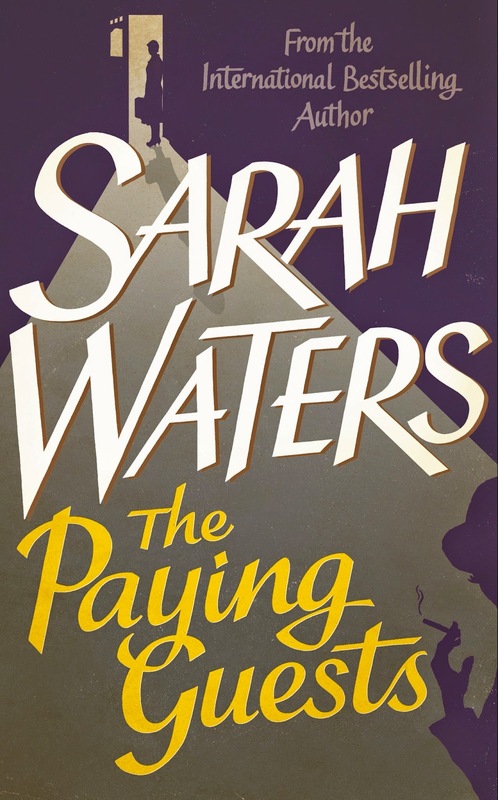 I think it's fair to describe The Paying Guests, Sarah Waters' first novel since 2009's The Little Stranger, as 'eagerly awaited', judging from the level of excitement I've witnessed on social media and in the mainstream press. It's hard for that degree of anticipation to end in anything but anticlimax, but I'm delighted to say that The Paying Guests lived up to my expectations. Set in the 1920s, it begins with Frances Wray and her mother opening the top floor of their house to lodgers - the paying guests of the title. A young married couple, Mr and Mrs Barber are below the Wrays on the class ladder but unlike the Wrays, have a discernible income which enables them to rent what is effectively an apartment. Their presence not only opens up an analysis of post-WW1 shifts in affluence and status and paints a dingy portrait of an uncomfortable marriage, but also sets in motion a chain of events that will come to turn the lives of the Wrays and the Barbers upside-down. Part love story, part social commentary and part crime thriller, The Paying Guests has all the hallmarks you'd expect of a Waters novel: pin-sharp historical details, almost uncannily vivid characters and an account of a love affair between two women, the portrayal of which often painful in its emotional honesty, even when the two women are being far from honest with one another. I've seen some reviews alluding to slow progress in the first half of the novel, and yes, this section of the book is considerably more halting in its pace than the second half, which deals with the aftermath of a crime and becomes, at times, extremely tense. But it's at the beginning of the book, that the love story develops and we build a clear picture of the characters, which is essential to the success of the rest of the novel and, in any case, is beautifully written. The pace felt entirely appropriate to me, and kept me turning the pages throughout, regardless of plot.